In 1917, a group of Peabody College students headed to Mammoth Cave--not by bus, but by train. Though their experience of almost a century ago was different from ours, it seemed familiar. The fourth graders have been learning about the unique geology and geography that help define this place where we live, the Central Basin. 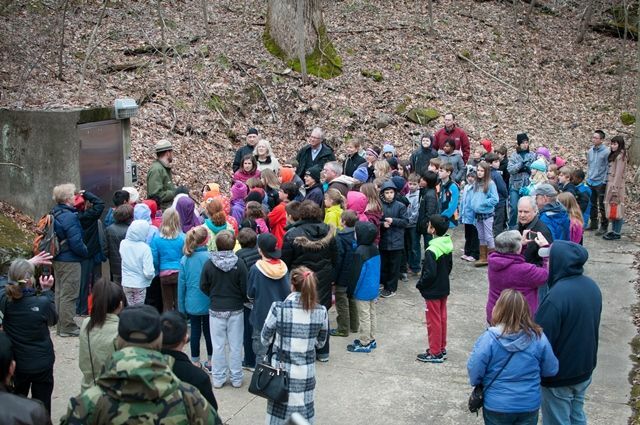 What better place to learn more than by visiting the longest cave system in the world, Mammoth Cave National Park. 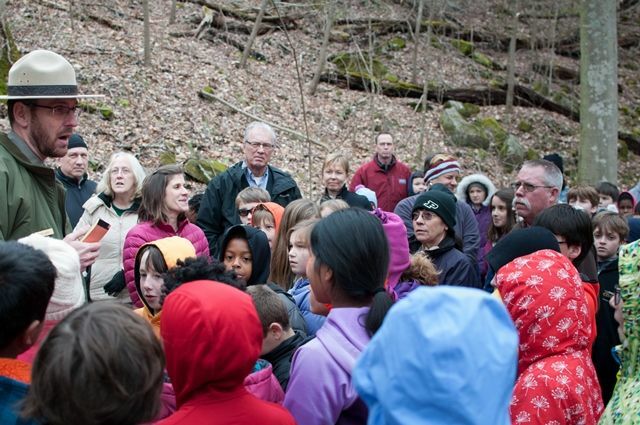 With eight teachers and seventy-two students, we headed North on I-65 for our underground adventure. We were lucky to get a chance to go on the "Domes and Dripstones" tour, not the usual tour for school groups. Once through the steel door, we walked down over 230 stairs, descending 250 feet below the surface. We saw amazing domes and entered a very large room where we walked on a limestone floor which once was the ceiling. 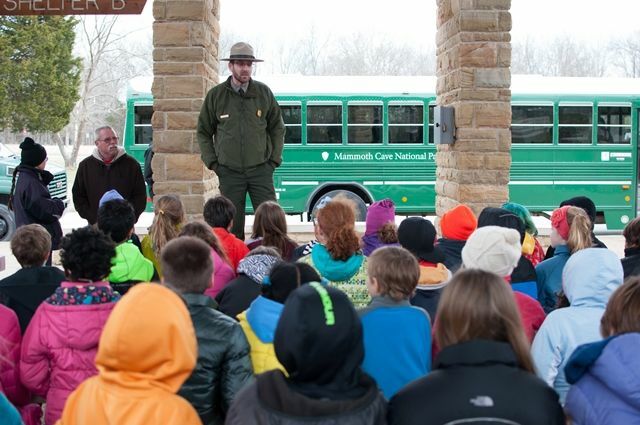 Students learned from Ranger Jim that the Mammoth Cave system is not a linear cave, but much like an upside down bowl of spaghetti--over 405 miles of winding and twisting caves with a thick capstone, all deposited hundreds of millions of years ago. 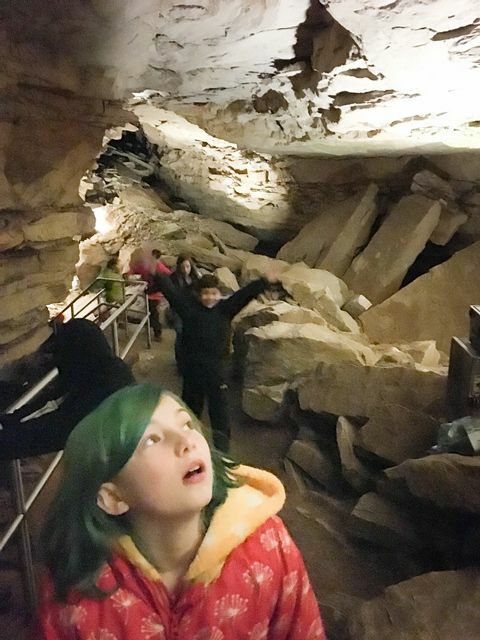 The second part of our tour was highlighted by stalactites and stalagmites and an enormous column rightly named "Niagara Falls"--it was truly amazing! 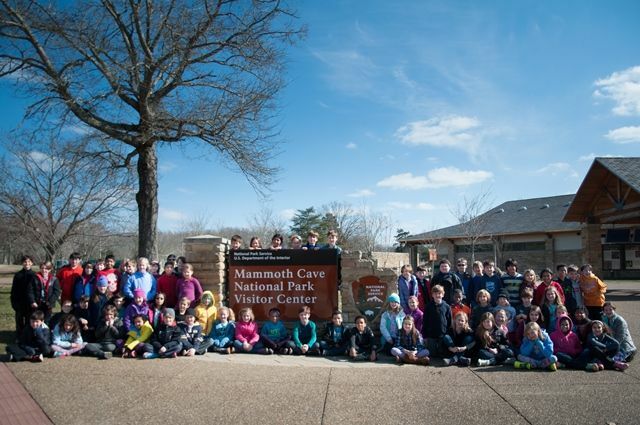 *The two drawings of Mammoth Cave were submitted by Leah Joseph (4th-Noel) and Meggie Hays (4th-Avington) to a Mammoth Cave research group to be used as possible pictures for their April symposium brochure. *Mammoth Cave pictures were taken by Beckie Stokes.